How to Increase followers Instagram - Instagram is now used in everybody's likes, Instagram is usually used to upload photos and videos when we have important moments as well as fitting any tour out of town, sightseeing or shopping. 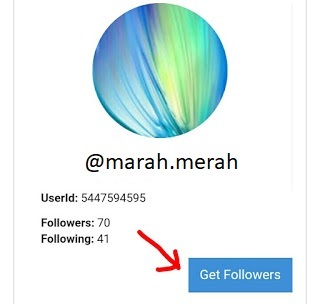 Out there-there are so many services add follower +1000 to +5000 the price also vary between $7 up to $10, discuss follower here I will give a little trick how to add follower. 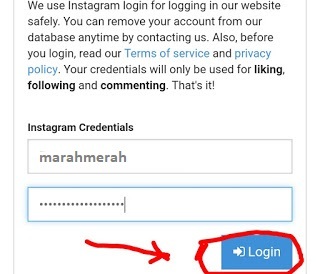 Adding these free Instagram followers we only need to use the default browser that is in Android hp, so you do not need additional applications, Ok first you go google chrome google, why use google chrome because it will automatically translate to Indonesian so let me understand. 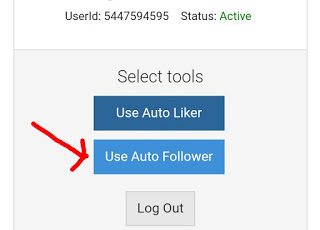 That's a little trick from me How to add Instagram follower free and without having to pay, hopefully, can help and useful for all of you. 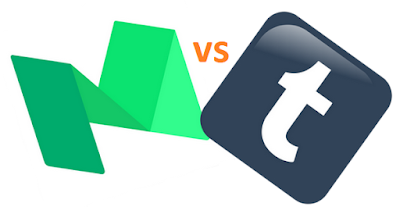 Medium vs Tumblr: Comparing the Popular Blogging Platform - Blogging platforms like Blogger and WordPress are the most widely used platforms over the years. There are at least two slightly newer blogging platforms, Tumblr.com and Medium.com. You may have heard that Tumblr is preferred by teenage bloggers, while Medium is mostly used by people who work in the technology and media industries. That may be true, but certainly, these two blogging platforms are among the trendiest and fastest growing social publishing sites today. Although these two blogging platforms are used for the same purpose, they are very different when you compare some of the best qualities of each platform. Here is a comparison of some of the main qualities that exist on these two blogging platforms. Tumblr: A highly visual blogging platform. People use it to share personal photos, photo sets, GIF animations, and videos. Posts in the form of text are also quite often used in Tumblr, but the visual content is the advantages of this platform. Tumblr users like to reblog postings from other users and add their own records in the caption section. Some popular posts can get hundreds of thousands of reblogs and also conversations left behind by other users in those posts. Medium: Recognized as a high-quality publishing platform. Some talented writers use Medium as a medium for writing, compiling content from detailed research results, even personal stories. Medium users cannot "reblog" posts from other people like in Tumblr, but they can hit the heart icon to recommend content. Medium is somewhat similar to Twitter, and many bloggers share their post there. Would you like to post more visual content like photos, videos, and GIFs? If yes, Tumblr may be the best choice for you. But if you want to post more content in text form, then Medium might be the best choice. Tumblr: You can design your blog appearance using an either free or premium theme, and customize it to your liking. If you have coding skills, you can even make further arrangements. There are thousands of Tumblr themes available and can make your blog look like a professional site, complete with sidebars, social media buttons, special pages, comment columns, and more. Medium: Characteristic Medium is a very clean and minimal display with very limited features. Unlike Tumblr, you can not install a new theme with sidebars, music, or menus to change the overall look. Medium blog design looks very much like Twitter. You can post a profile photo, cover photo, a short bio description to be displayed on your blog, that's it. Do you want to have a blog that has many customization options and unique themes? If yes, then you are fit to use Tumblr. But if you do not really care about the design and prefer the look of the blog clean and minimalist, then you are suitable to use Medium. Tumblr: Known for different types of multimedia posts. You can create posts that specifically display text, photos, links, chat dialogs, audio or video files. Tumblr also recently introduced the Medium-like formatting feature, which you can access by pressing the plus sign (+) when you are writing a post, or by highlighting any text. You can save the post-draft, and arrange it in the queue for posting in the selected time period. Medium: Known for easy and intuitive formatting features (recently copied by Tumblr). Click the plus sign (+) when creating a new post to add photos, videos, links or to split paragraphs. Highlight any text to set the title style or paragraph, add a quote, set the alignment or add a link. The draft will be saved automatically and you can click to share it as a draft if you want to input or edit from someone before publishing it. Tumblr: The user dashboard is where all the magic happens. When you follow other blogs, you can scroll all that you like, reblogging, and reply to posts from the dashboard. "Notes", which represent all the likes and reassemble the post, can reach hundreds of thousands as they pass through it and reach a fair number of users. You can also contact someone personally, either as yourself or anonymously, and post to other blogs to show if they enable that option. Medium: You can not reblog Medium posts, but you can recommend them so they appear on your profile and in the home feed of people who follow you. When you mouse over a paragraph, you'll see a small plus (+) sign appear on the right, which you can press to leave a note or comment. Tumblr: So far the Tumblr blogging app is the most powerful. Most of Tumblr's activities come from mobile devices, including posts and interactions. Tumblr is very similar to the Twitter app, but with more visual and post features. You can do many things via the Tumblr mobile app just as you can in the web version. Medium: Meant for browsing only, but this may change in the future. You can view your home feeds, top stories, and bookmarks. Currently, in Medium there is no function to create posts from mobile apps, but you can still interact by following other users, recommending a post and sharing it. Medium mobile apps are also only available for iOS devices for a while. Both of these blogging platforms have their respective advantages and disadvantages. As mentioned earlier, Tumblr is more likely to be liked by young people who like visual content. While Medium is preferred by professional writers and also those who work in the media industry. Read Also: Why Domain from Freenom Have a Poor Quality? Understanding, Explanations and how to Add Ads.txt to Blogger - An explanation or explanation of ads.txt or Authorized Digital Sellers is an initial concept of the Interactive Advertising Bureau (IAB) to help ensure your digital ad inventory is only sold through authorized resellers (such as AdSense) that you have identified. This means that we give permission to certain parties such as Adsense to sell ads on our site so as to prevent invalid activity. Surely my friend a lot of confused from the above explanation is not, the same as I previously do not understand what is Ads.txt on Google Adsense in pairs in dashboard Blogger. On January 31, 2018, Ads.txt has been released and the tutorial is actually already in the magic company's blog but for 2 days I did not activate it because I did not understand what the purpose was. As explained in the first paragraph that the purpose of installing Ads.txt is to ensure your digital ad inventory is only sold through authorized resellers (such as AdSense) that you have identified. If you register Adsense via Blogger Dashboard then do not need to activate Ads.txt but if Adsense accounts come from other accounts then obligate buddy switch Ads.txtnya. Unlike if Ads.txt blog buddy is not active then there will be error 404. There is also active but the Publisher ID is different from the Adsense account you pal installed. So quickly enable Ads.txt to be switched to an active Adsense account. This difference occurs because the blog buddy ever on the register to Google Adsense but experienced a rejection. As a result, if you do not enable Ads.txt is ads that appear on your blog can be blank or temporarily disabled. This I see in some Facebook friends who share their experience, when not activate Ads.txt ads blank but after activating it Ads reappear after a few hours ahead. So my advice still activates Ads.txt even though my friend does not really understand. 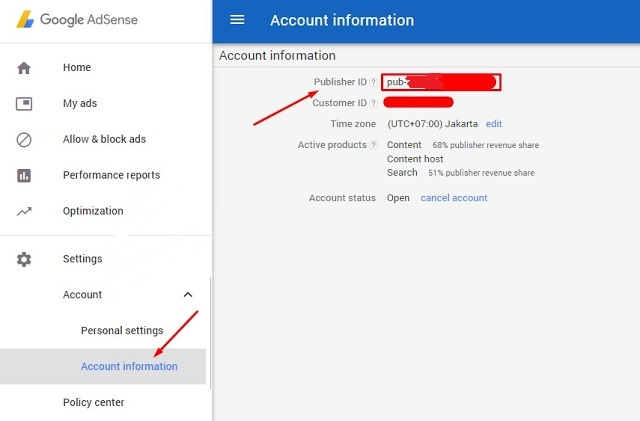 Go to Google Adsense dashboard and then buddy see Publisher ID Google Adsense through menu >> Settings >> Account >> Account Information >> View ID Publisher's topmost publisher like the picture below. If you already get Publisher ID Google Adsensenya then the next step into the Blogger Dashboard >> Settings >> Search Preferences >> Monetization >> Custom Ads.txt >> Click edit and Copy the following code: google.com, pub-0000000000000000, DIRECT, f08c47fec0942fa0 (red text fill with your Adsense ID buddy). How still hesitate to install Ads.txt, maybe for us beginners still fears to edit like when activating robot.txt. I guarantee secure because almost a few big blogs recommend to activate Ads.txt so that your Adsense ads are not blank because Publisher ID is not appropriate or not yet active Ads.txtnya. All my blogs including I have activated Ads.txt and I have adjusted with the Adsense Account ID installed so that no problems in the future. If when activate Ads.txt blank ads then wait just after the next few hours will appear again. So and hopefully useful.